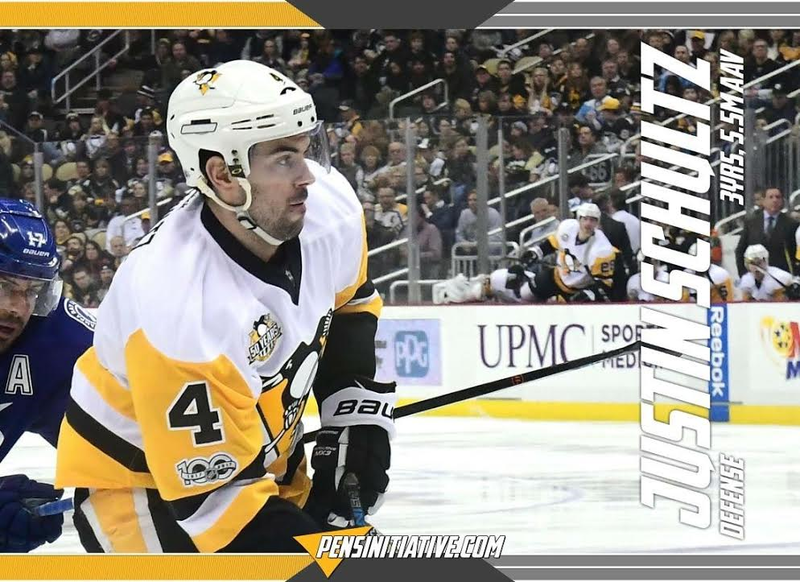 The biggest move the Penguins wanted to move in this free agency season was lock down Justin Schultz. The team announced recently that they've accomplished this task with a three year, $5.5 million per year deal. Schultz came over from the Oilers at the 2015-16 Trade Deadline in a throwaway deal. Working heavily with Jacques Martin and Sergei Gonchar, Schultz has blossomed in to the type of offensive defenseman everyone suspected he'd be when drafted by the Anaheim Ducks. With Schultz locked down, the starting defense for the Penguins is taking shape for the 2017-18 season. Kris Letang, Justin Schultz, Brian Dumolin, and new signee Matt Hunwick look to anchor with a likely rotating cast joining the bottom pairing between Chas Ruhwedel, Derrick Pouliot, and Frank Corrado.